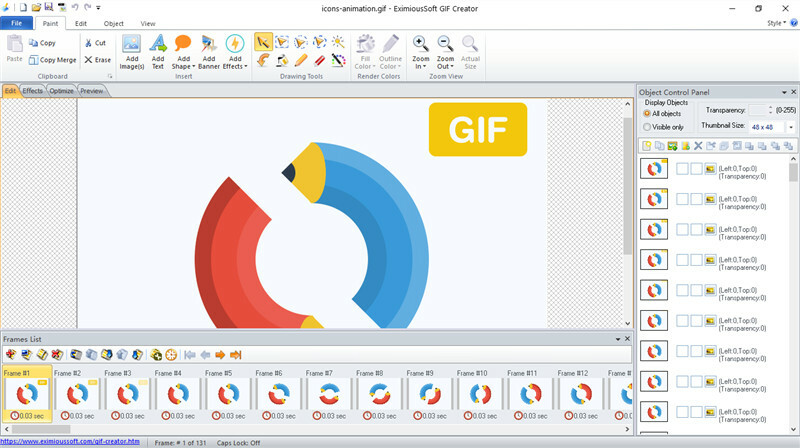 EximiousSoft GIF Creator is an easy and powerful tool for creating high quality and impact GIF animations. Which provides 30+ effects to build impressive animations or banners. By Adding shadows or outlines, you can make more effective animations. What's more automatic optimization delivers the smallest size GIF files but keeps all original image's quality. All painted tools can produce the smoothest texts, symbols, and shapes, bitmaps.